20 members of RCPV including the President Dato’ Esther Tan selected Sunway Le Cordon Blue Institute as their Vocational visit this year. General Manager Ming Ho who is also a Board member of the club, introduced the line of Chef Instructors, screened The Institute ‘s video and an alumni Video ( featuring Datin Su) after which they were given a brief of the Institute’s programme and a tour of the facilities where our Culinary Classes were conducted. 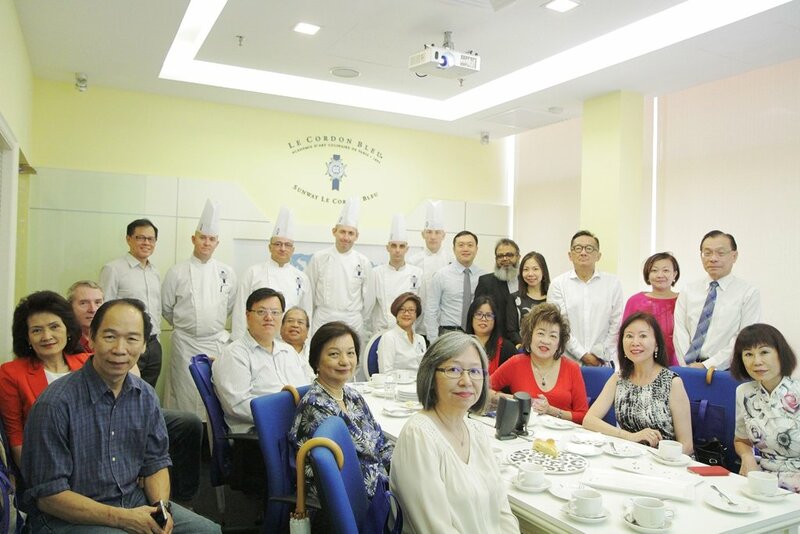 The tour ended with a delightful lunch presented by Students from Sunway University Culinary management programme which are accredited by Le Cordon Bleu at the new kitchen and dining facilities.